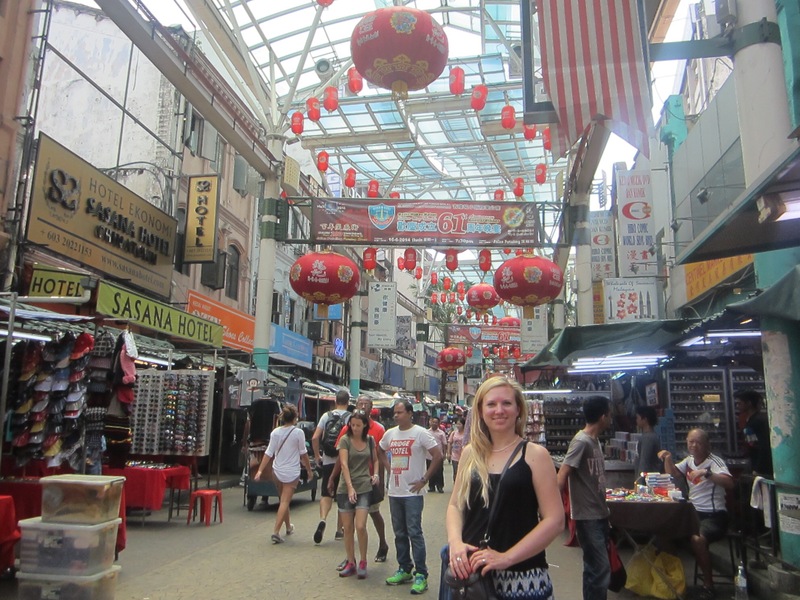 For us Kuala Lumpur was a wonderful surprise. It was not in our original travel plans and we knew basically nothing about it. The reason we went to KL (this is what everyone calls Kuala Lumpur) was that from KL there were cheap flights to Myanmar (Burma) since KL airport is the hub for Air Asia, a discount airline. 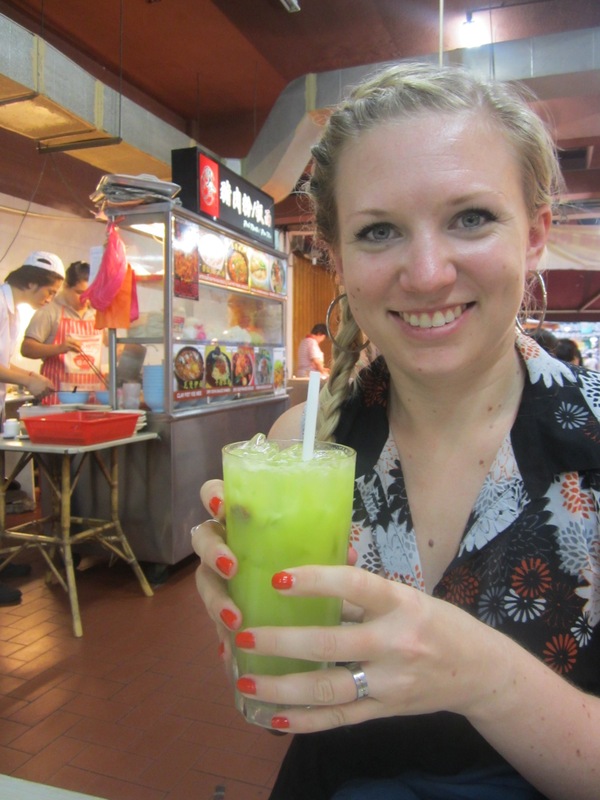 Now we did not end up going to Myanmar from KL for visa reasons which I will explain later but we ended up having the best time in Kuala Lumpur! This trip takes some time so plan accordingly. We took a taxi. It took 45 minutes and that was very early morning before traffic so if you are traveling during rush hour it will take longer. A nice thing about the taxis though is that you pay in advance in the airport. 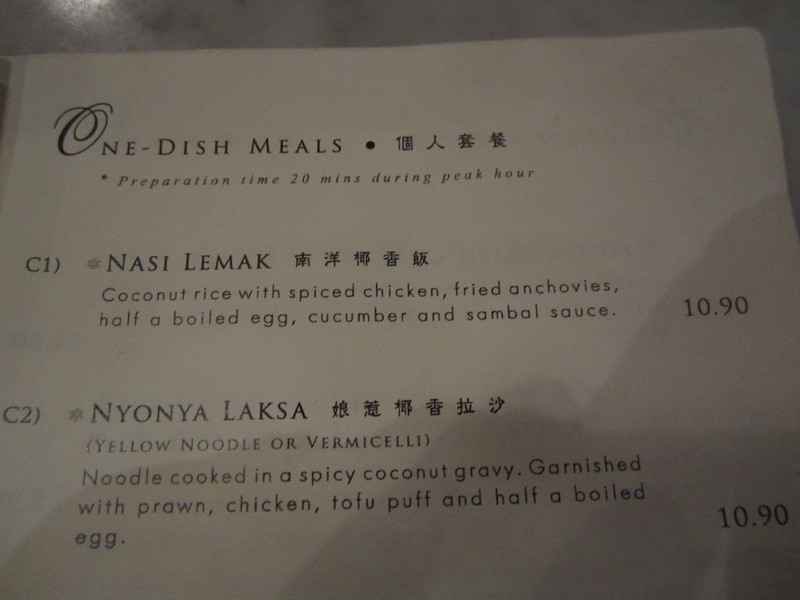 It is a flat fee of 100 Malaysian ringgit (about $30). This was such a nice hostel. It was small, mostly private double and twin rooms and only 1 small dorm for 8 people. We stayed in one of the double rooms. The air condition works great. There were 4 shared bathroom/showers – they were clean and 4 was plenty (I do not think the hostel was full, might have to wait for bathroom if hostel is completely full). The internet connection was good and in the common room there was a big TV with several movie channels if you just need to relax. 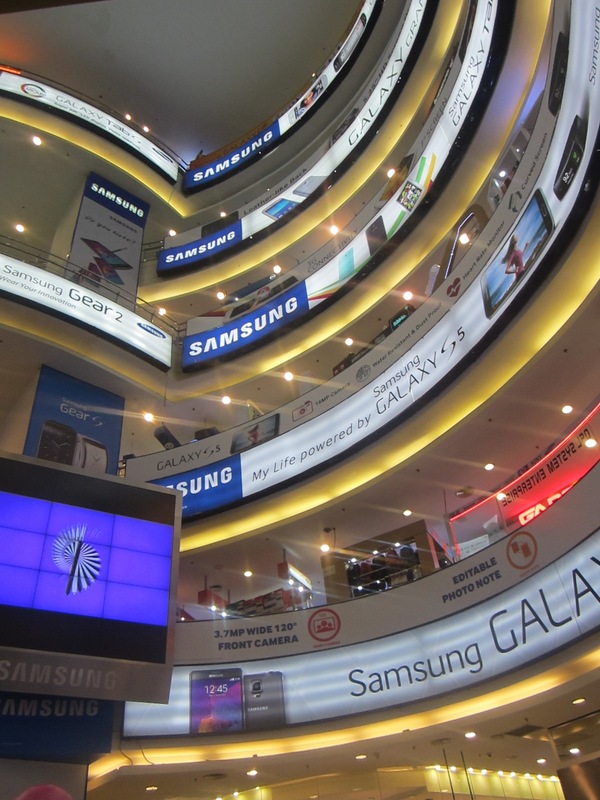 KL is a technology hub and has Malaysia’s largest IT shopping mall, so of course we had to go for Glenn. After sharing my iPad for a month he decided that he wanted to buy his own tablet. This mall was heaven for Glenn, 6 huge floors full oh computers, tablets, phones, parts, cables and many things that I had no idea what they were. He loved it! 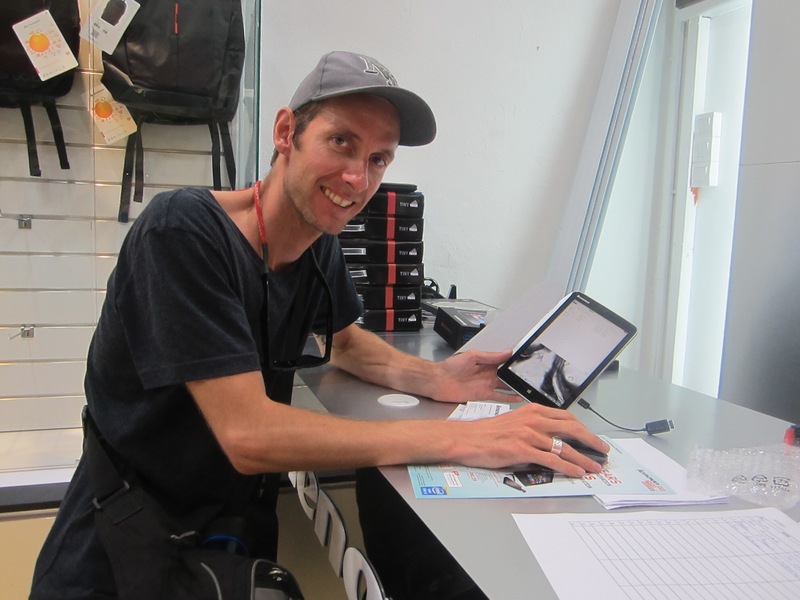 After a lot of looking he decided to buy a Lenovo tablet and several accessories to go with it. Note: Because many of the products are similar the sales people are quite forward and pushy. Every single one will call out to you as you walk by asking what you need or want to buy – just ignore them as best you can until you get to the store you want. 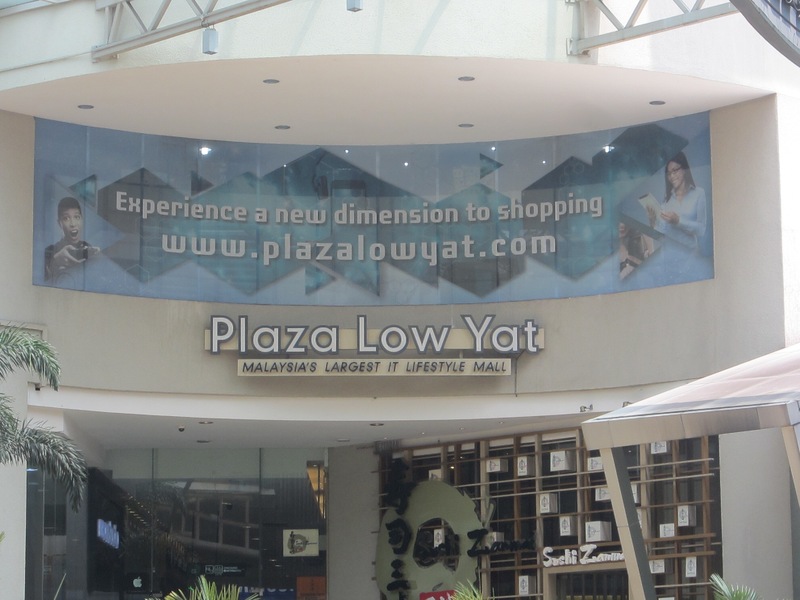 For me this mall was a bit overwhelming but if you need a piece of technology you will find it here so it is worth it. This was a recommendation that we got from a Canadian couple we met along our Everest Base Camp trek. 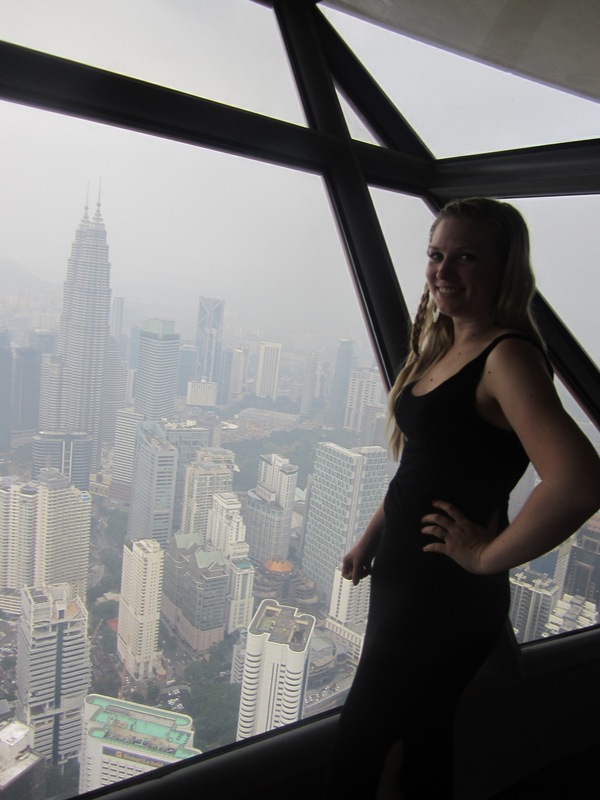 Most people come to KL and go to the twin towers to the observation deck to see the view. The problem with this is then you cannot see the towers because you are in them. 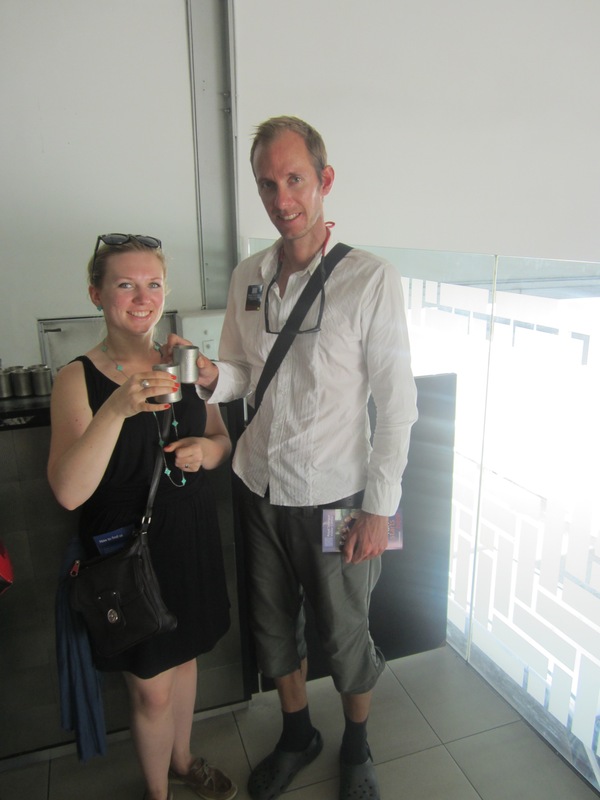 This couple told us that it was better to go to KL tower and get a view of the famous twin towers. 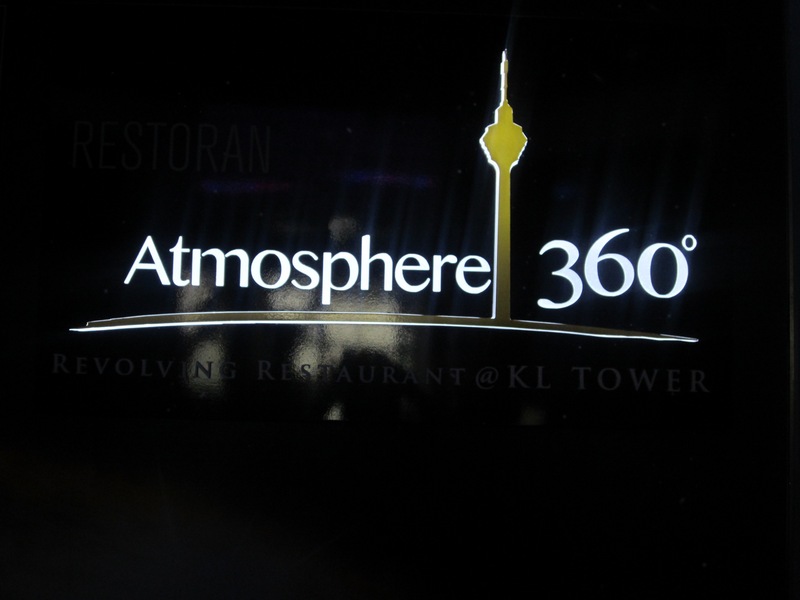 Also they recommended having afternoon tea in the Atmosphere 360 revolving restaurant instead of just visiting the observation deck. They were right. We booked our afternoon tea one day in advance (you can make the booking online). We also decided to dress up for this afternoon tea. Dressing up is not necessary but after trekking in Nepal and nearly a month of traveling it feels good to clean up and look fancy. Getting there is not hard as it is city center, it was about a 15-20 min walk from our hostel. 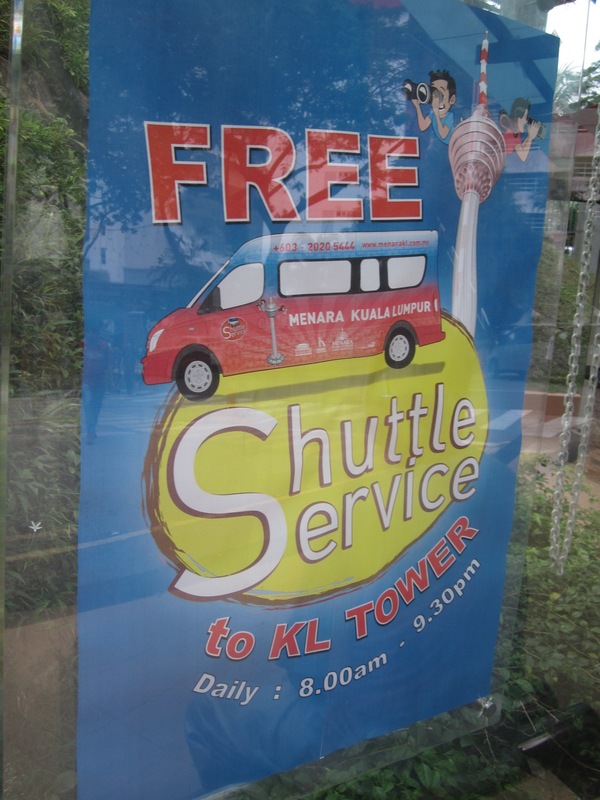 The tower sits on a hill, at the base of the hill there is a free shuttle bus to tale you to the tower. The tea was so nice. 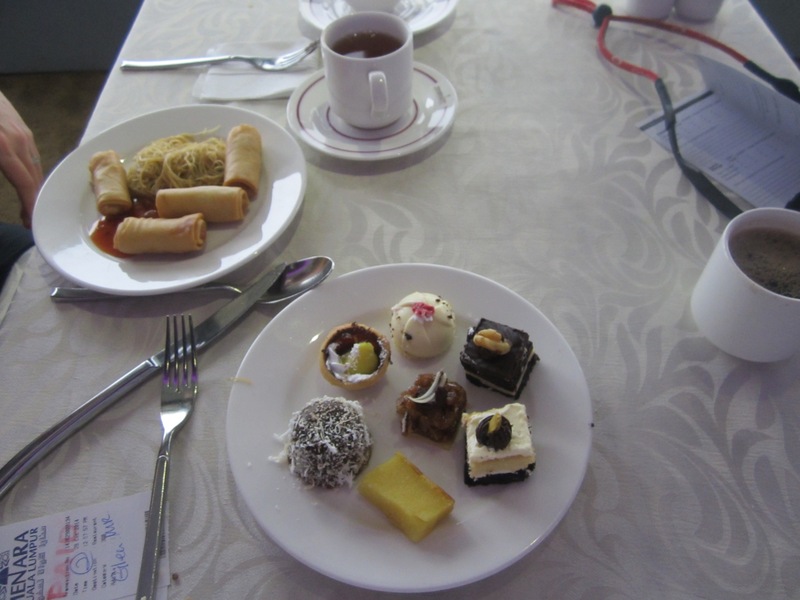 It was a small buffet with traditional choices of finger sandwiches and pastries, plus more local specialties like glass noodles and spring rolls. 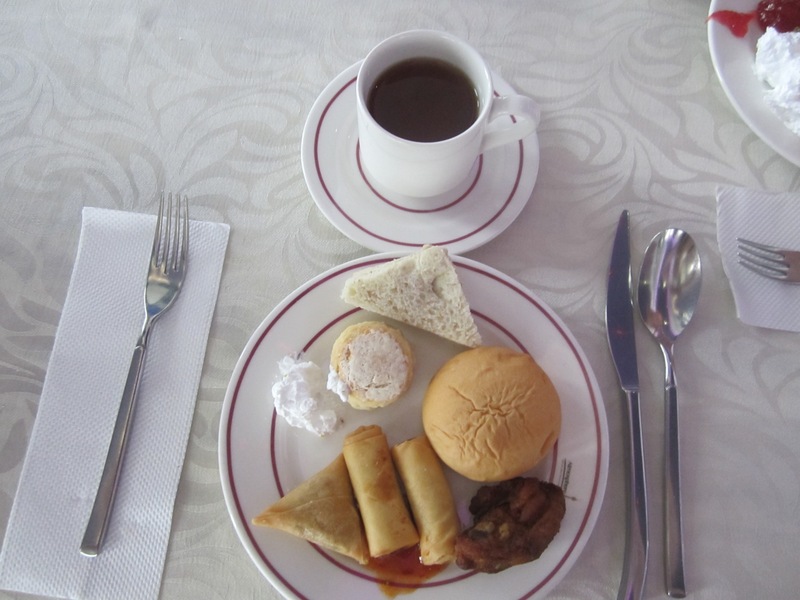 You can have endless hot tea/coffee -or- 1 cold juice/soft drink. 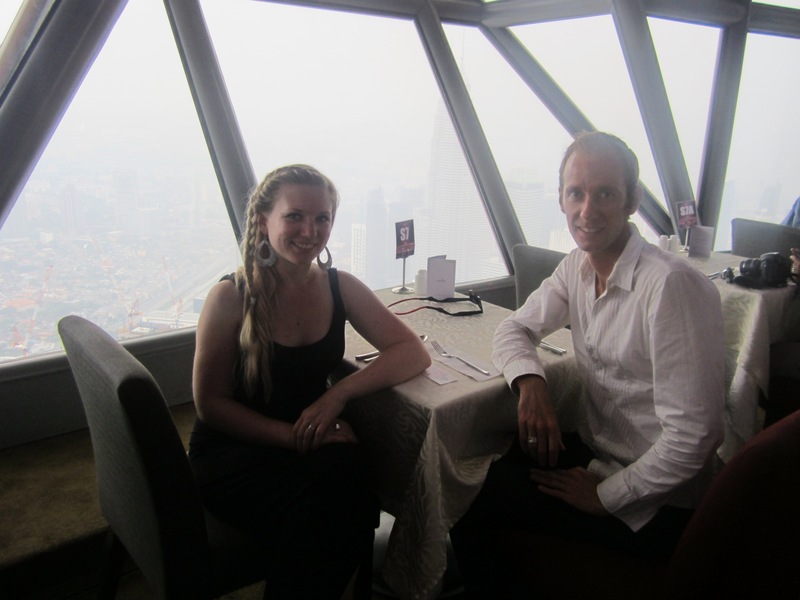 It restaurant takes about 1 hour to make a full rotation and gives you some amazing views of the city. This was a day tour offered by our hostel but I recommend it whether you stay there or not. It gives a nice overview of the city and its history. It also takes you to 7 of the main tourist attractions, some of which can be difficult to get to on your own. 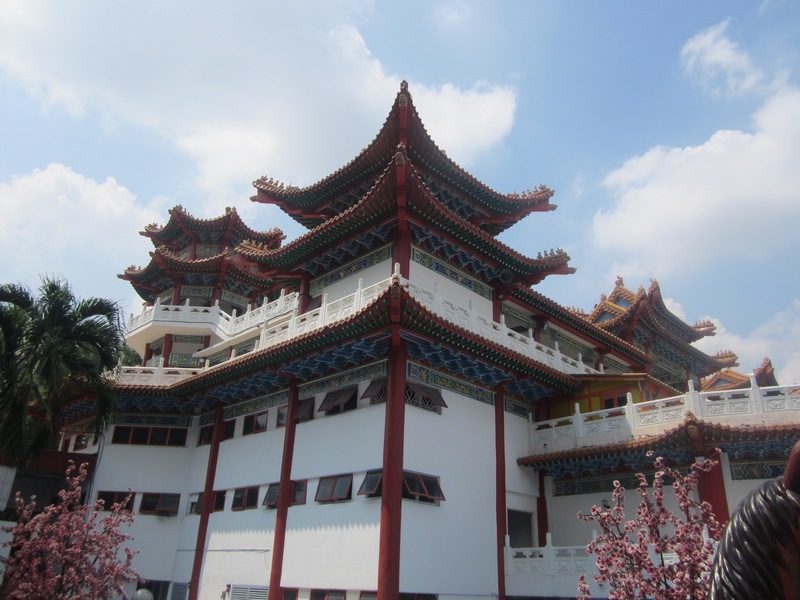 – The Chinese temple is so impressive! First outside in the gardens there are statues representing the different year animals and we each found ours and took a picture. 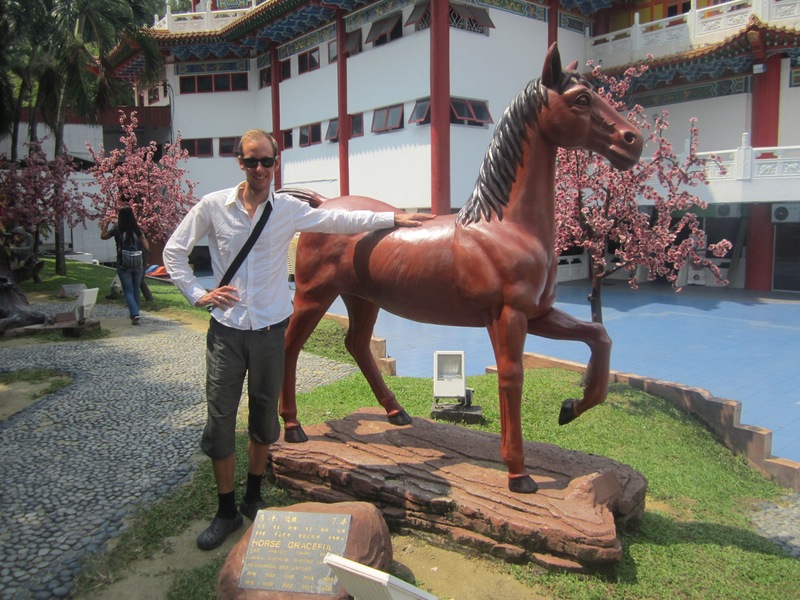 Glenn is year of the Horse. I am year of the Dragon. 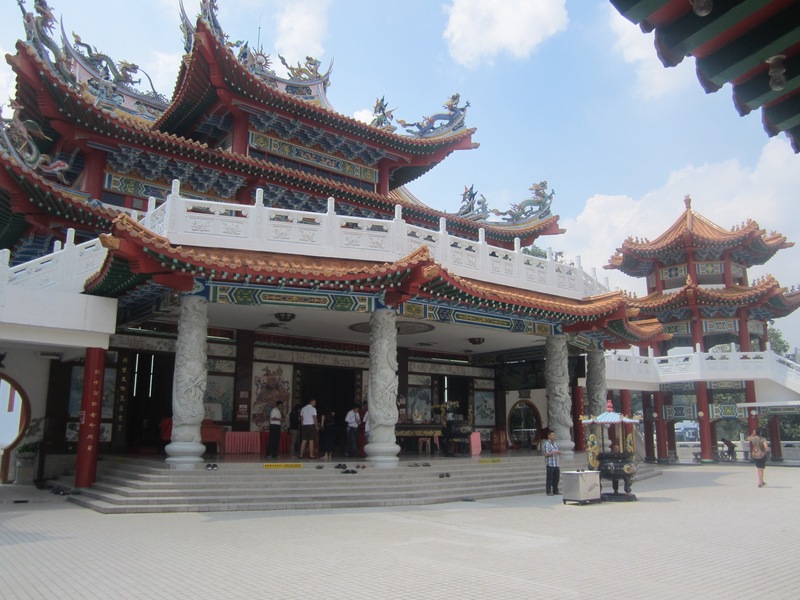 The temple contains elements from Buddhism, Taoism and Confucianism. Then we entered the temple. 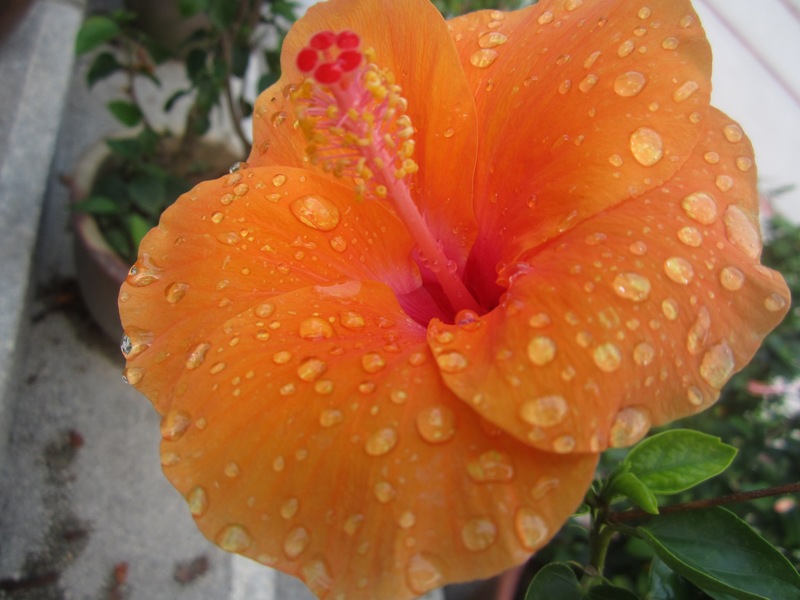 It is beautiful, color everywhere. 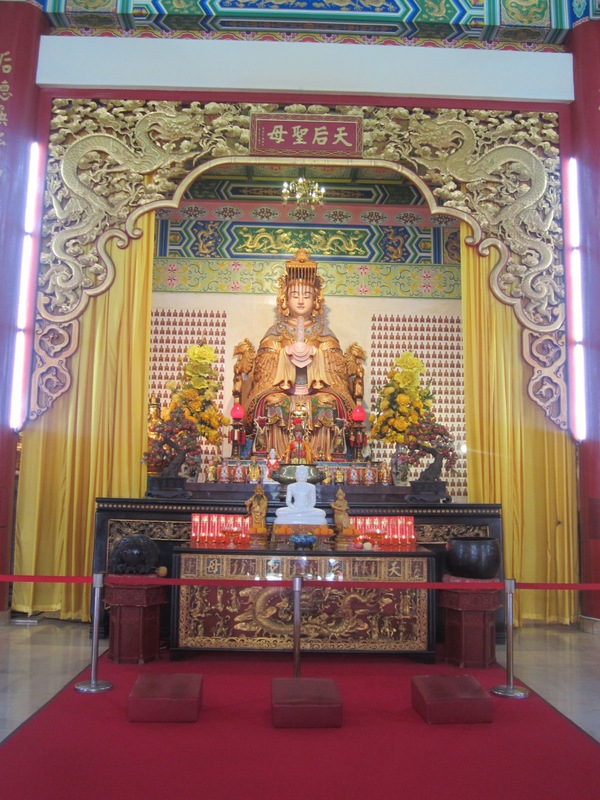 This temple is dedicated to Then Hou, the goddess of the ocean. 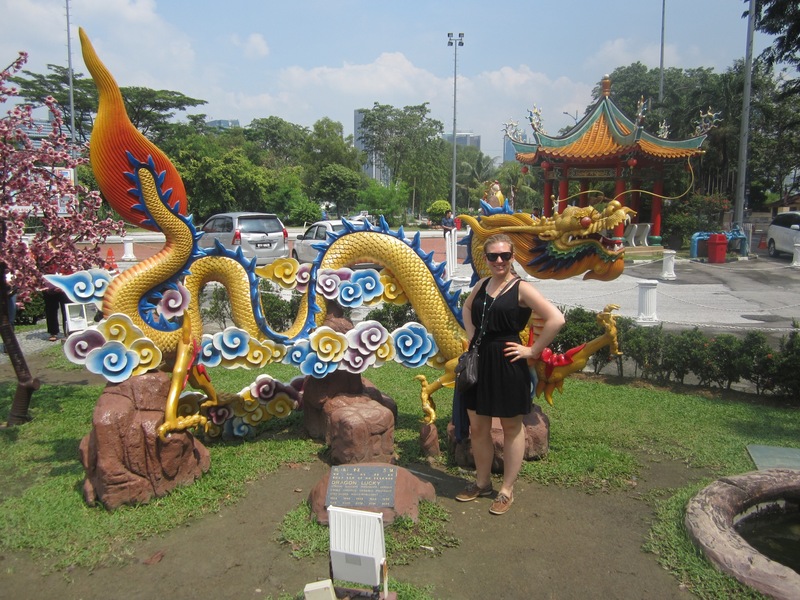 I also learned that in Chinese culture dragons do not spit fire, the breath water and give life. 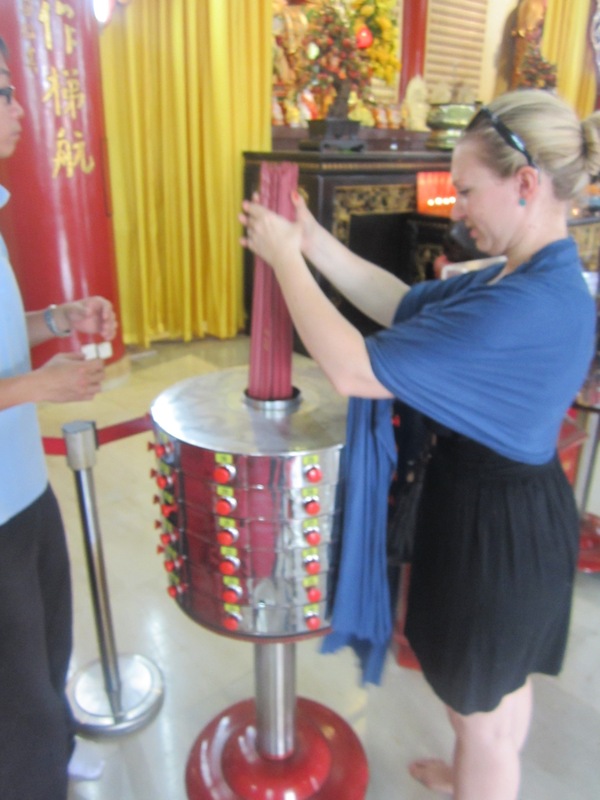 I also had my fortune told by fortune sticks in the temple. You take all the sticks together, life them up and drop them back in to their holder. They bounce and whatever stick is highest is your fortune. You then read the number on the stick and find the corresponding drawer on the side to get a small paper with a fortune on it. 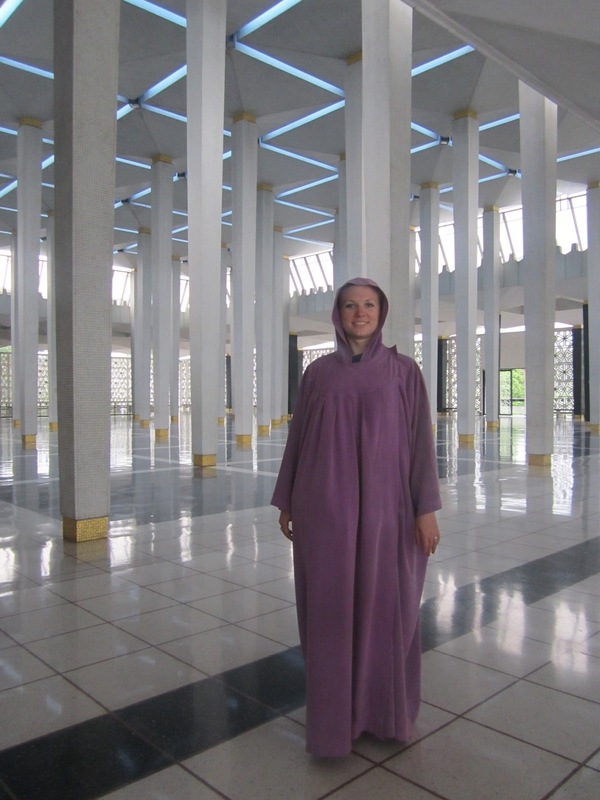 Note: To enter the temple you must take of your shoes and ladies, your shoulders must be covered. – When you enter this neighborhood it is like entering India. There are indian restaurants, shops selling saris and spices and Bollywood movies. We did not spend too much time here but it is worth a visit. 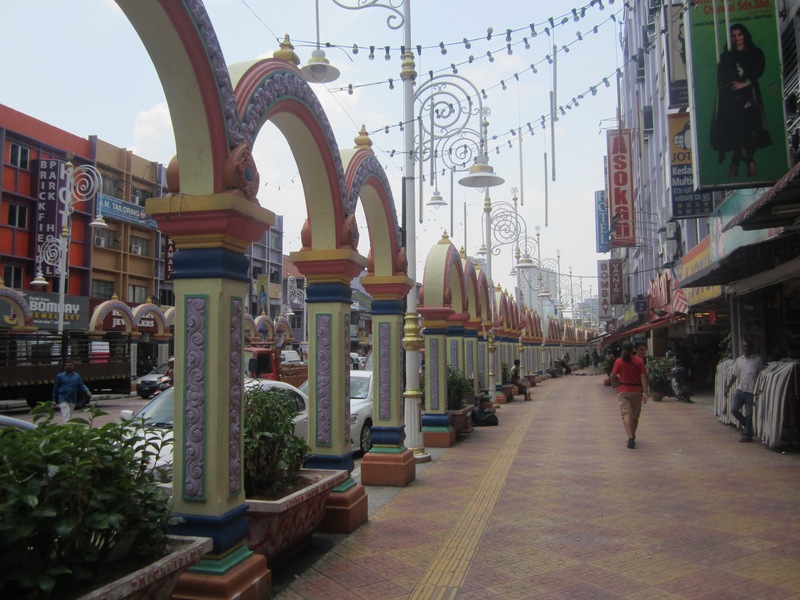 It is also a good area to but inexpensive souvenirs from Malaysia. 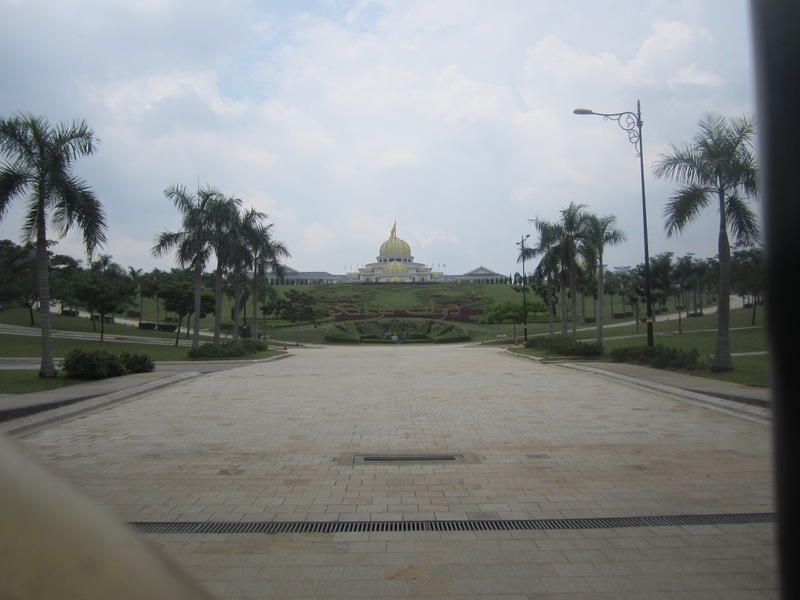 – The Royal Palace is very grand and new, only completed in 2011. 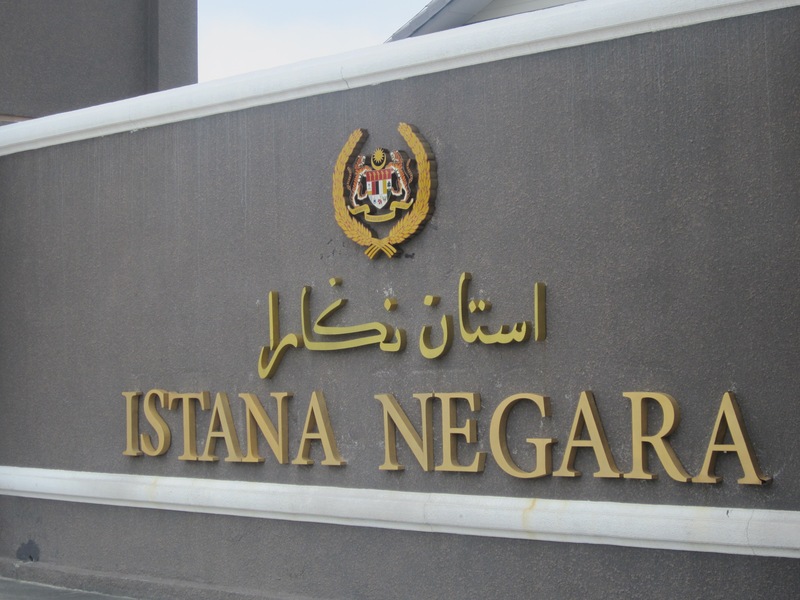 Malaysia follows the British system of a constitutional monarchy, having a monarchy which is more of a figurehead and a Parliment which governs. The interesting thing about the Malaysian royal family is that there is not just one, there are actually 8 royal families (one for each Malaysian state, Borneo does not have a royal family). Every 5 years the royal families convene a Conference of Rulers to elect the new king (and royal family) from among themselves. To be eligible one must be Malay Muslim. They are the only country to have a rotating monarchy. The current king has actually been king twice. 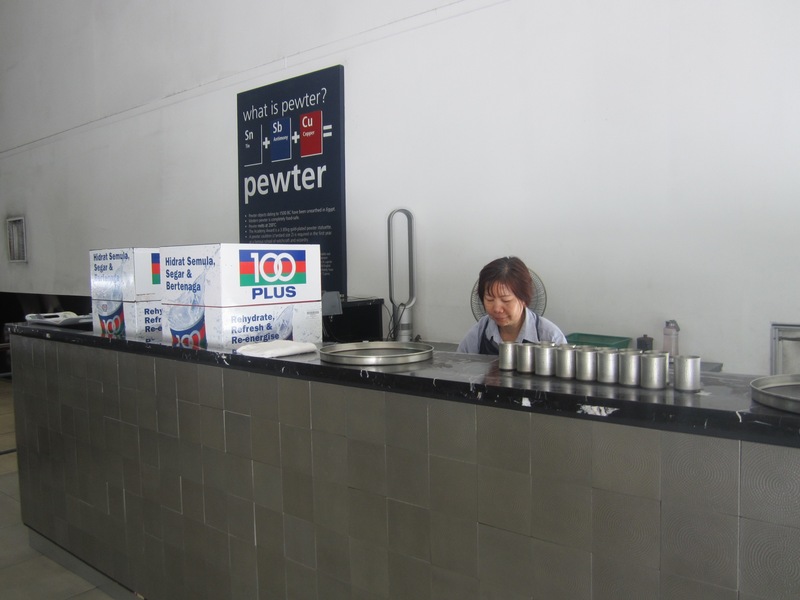 – Next we visited the Royal Selangor Pewter factory, which is one of Malaysia’s best known brands and the largest pewter manufacturer in the world. Kuala Lumpur the city was actually founded as a tin mining city; the get the tin from the river. 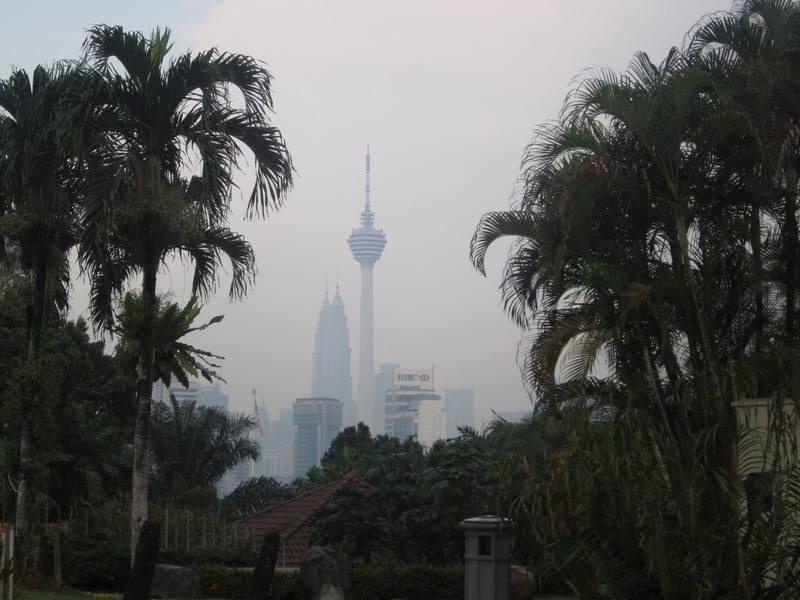 In fact Kuala Lumpur actually means muddy river in Malay. Tin is a major component of pewter and in 1885 Mr Yong Koon came from China to found Royal Selangor. 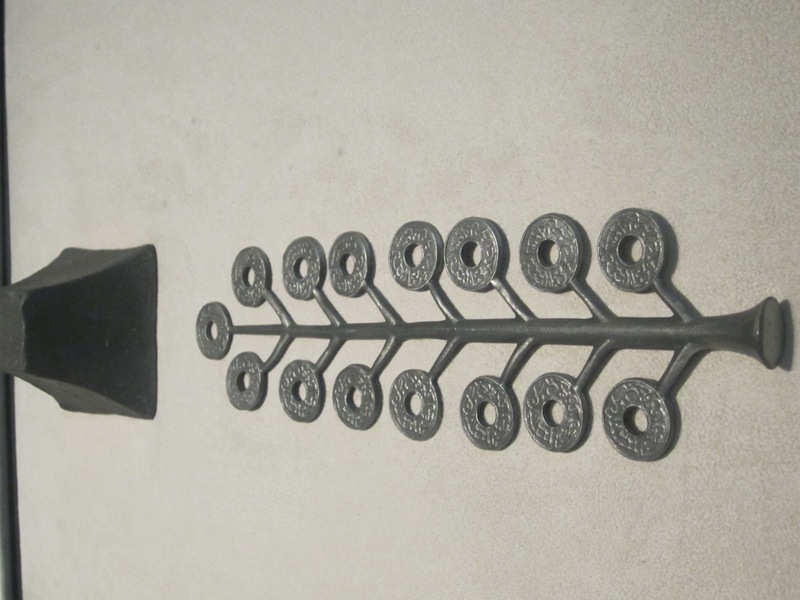 They initially made incense burners and candle holders for alters in Chinese homes and temples. With the arrival of the British however he quickly expanded into tankards (basically beer mugs) and other products. 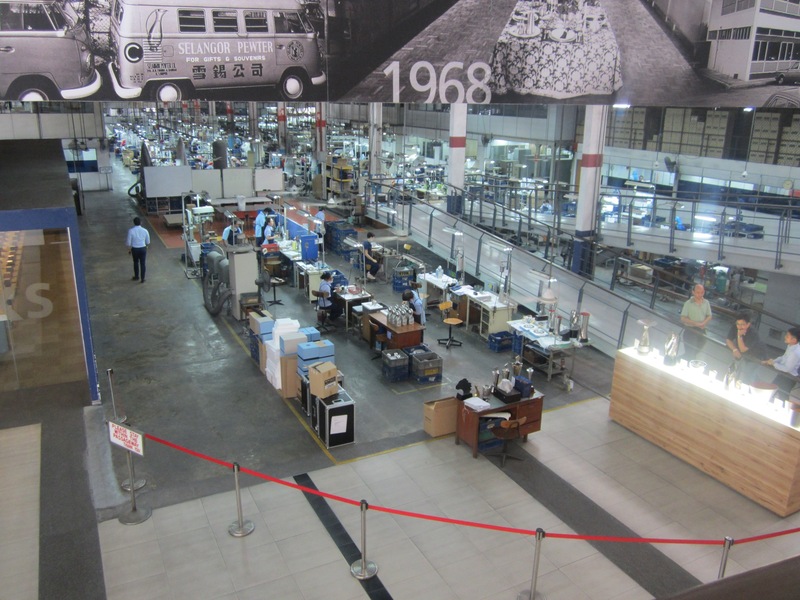 On the tour you start in the museum section where you can see examples of the factory and company’s work. Two interesting things we saw were early examples of Malaysian money which Royal Selangor used to manufacture. 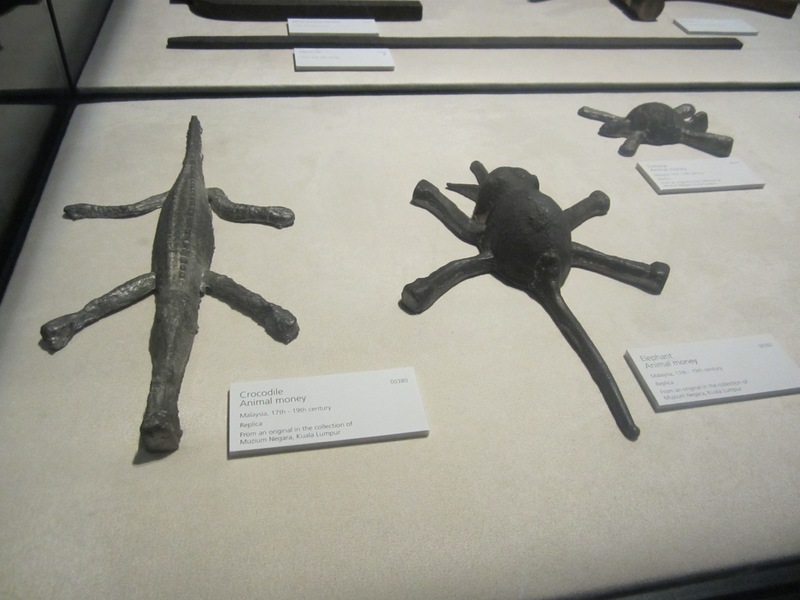 First they used pewter animals as money like this pewter crocodile. When people decided that this system was impractical they moved on to the ‘money tree’. The coins can be broken off to use as currency. The tree trunk is then remelted to make a new money tree. Then you move into the factory section. As you enter the factory you are offered a nice cold drink from a Royal Selangor tankard. That was a lot of fun to use the product! 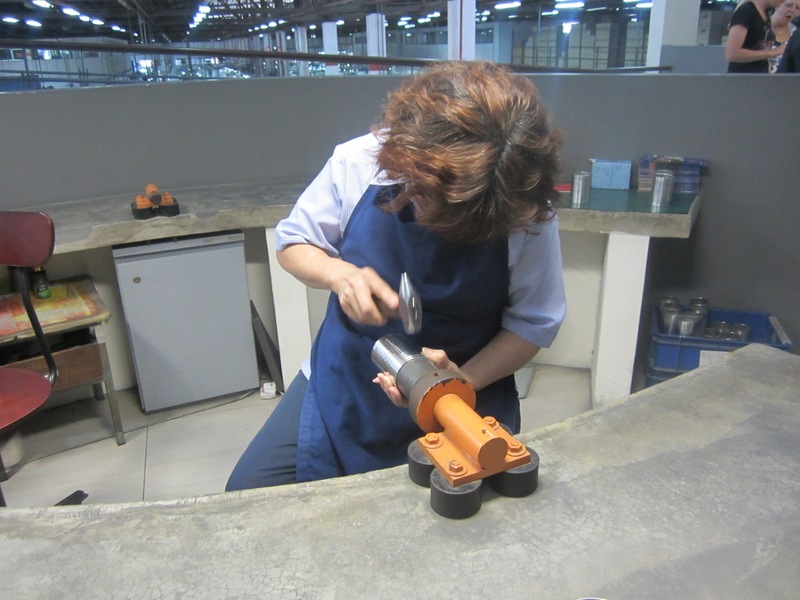 We were able to see the process of making the pewter and see the work first hand in the factory. One interesting thing I noticed was that most of the factory employees were women. Unfortunately we could not buy anything on this trip because pewter is simply too heavy to carry for another 3 months but the products are beautiful and we definitely would like a piece from Royal Selangor someday. 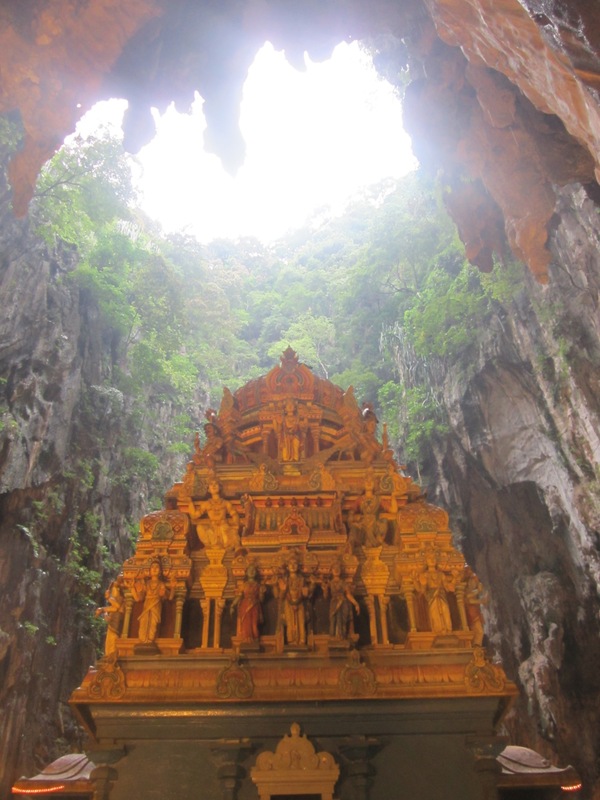 – Batu caves is a Hindu temple situated up 272 steps in a 400 million year old cave. I think that introduction speaks for itself, this is well worth seeing! Note: Ladies you knees must be covered. 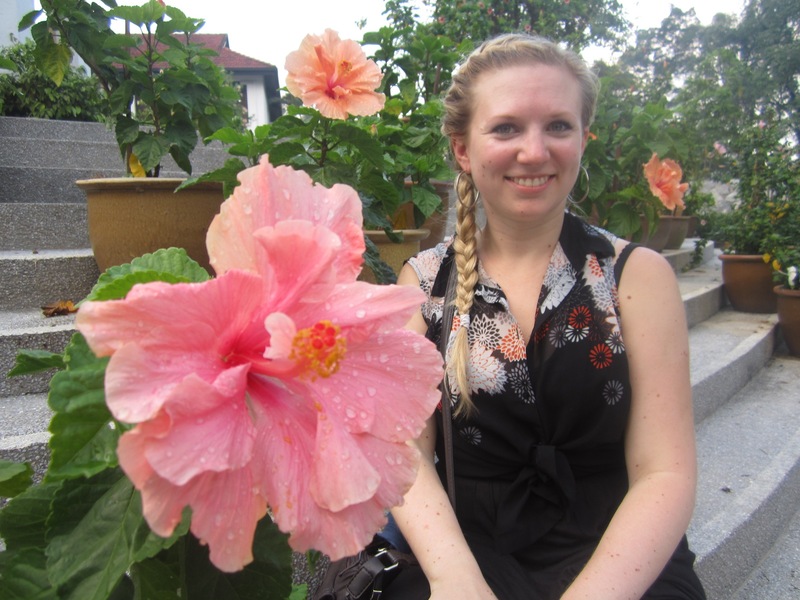 Bring a sarong or a pair of leggings with you if you do not want to wear a long skirt/pants. – The National Monument is a war memorial. 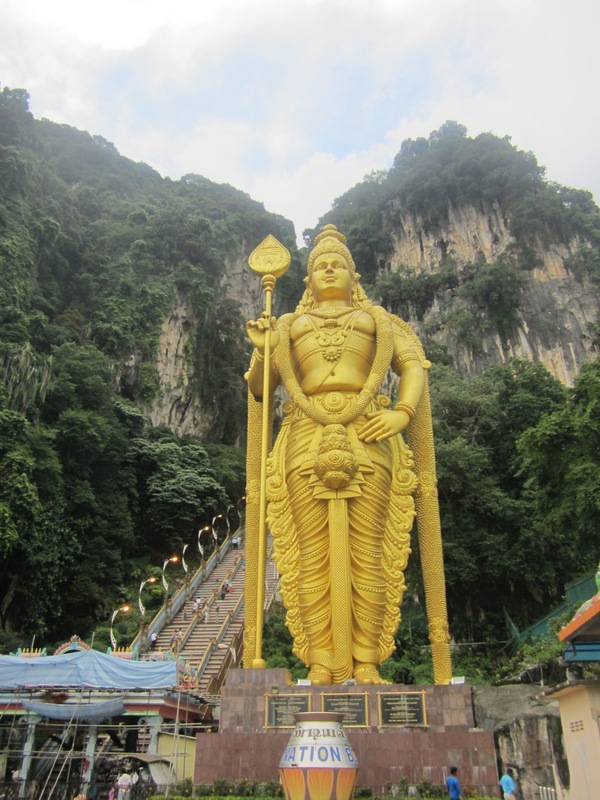 It is also the worlds tallest bronze statue grouping. 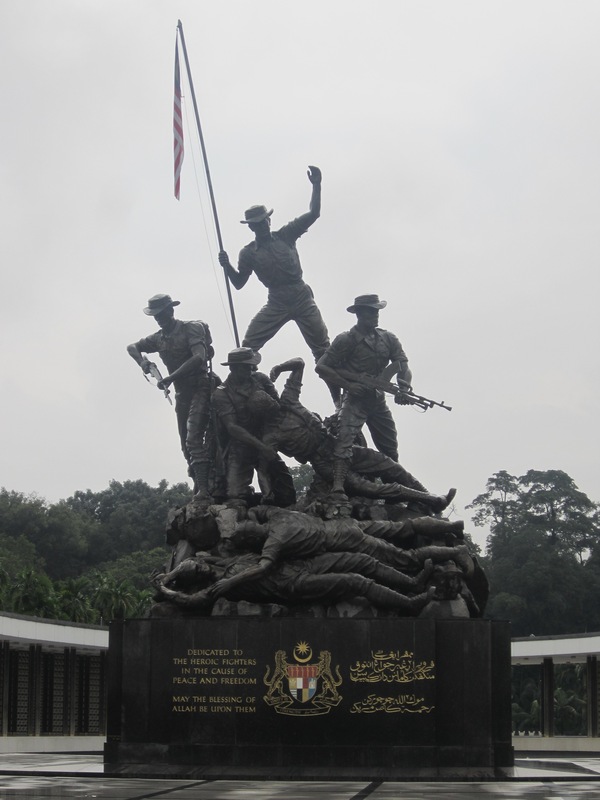 The Prime Minister of Malaysia was inspired by the Marine Corp Memorial (Iwo Jima) on a trip to the US and requested the artist Felix Weihs de Weldon to creat the National Monument for Malaysia. – Finally we visited the National Mosque. 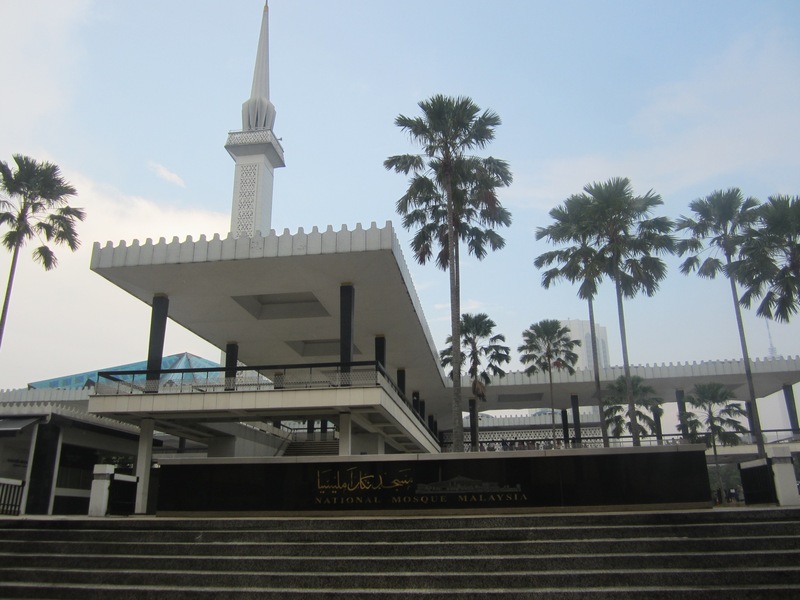 Malaysia is now primarily a Muslim country and this mosque was huge. One lovely thing is that this mosque is very tourist friendly. Ladies, they have long robes with head coverings available for you to wear (free) so no need to stress about how to dress appropriately. Men, if your knees and shoulders are covered you are fine; if you are wearing shorts you will also have to wear a robe. If you look at a map of KL you will see a large green area in the middle of the city. This park area is a lovely place to walk around for an afternoon and is full of great free things to see. – There is a small deer park you can visit. 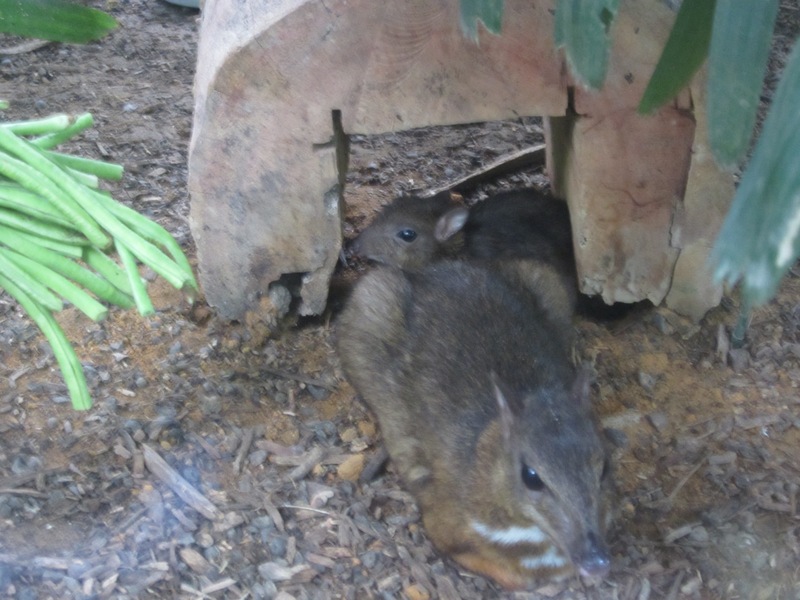 The normal deer are of course fun to see but the jewel of this deer park are the Mouse Deer. These deer are the worlds smallest deer, with a shoulder height of about 20cm! 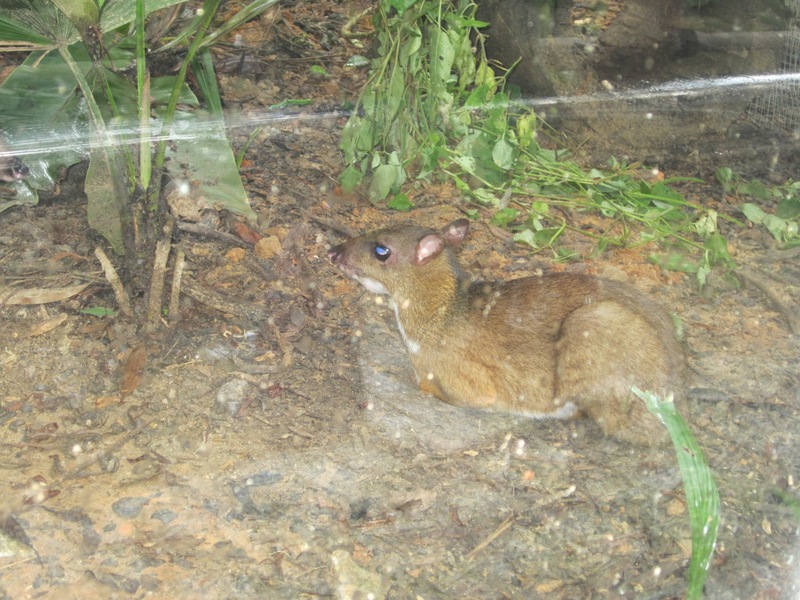 They are native to Malaysia and typically live in the jungle. They are so cute and we were so happy to see them in real life. 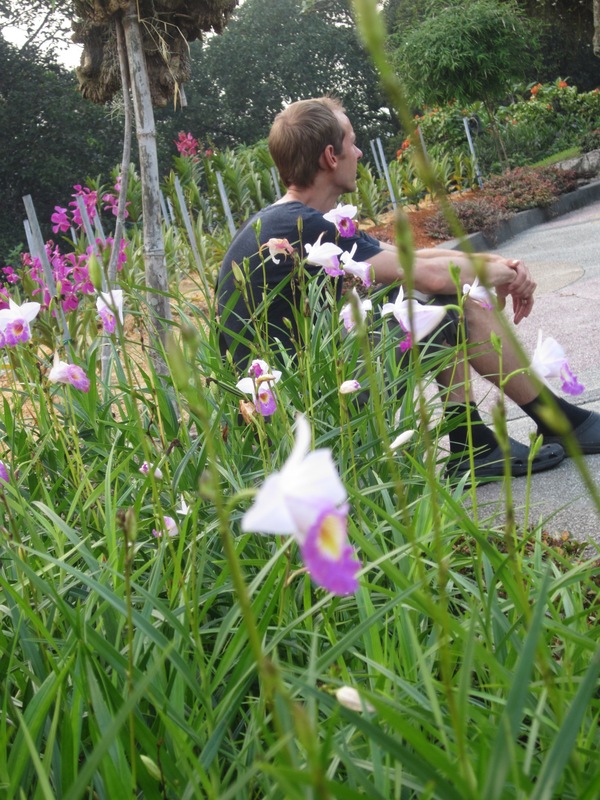 – The orchid garden was so beautiful to walk around. It was quiet and beautiful, a nice place to relax, take some pictures and decompress from the busy city. It is also located on top of a hill so there are some nice views of the city from here. 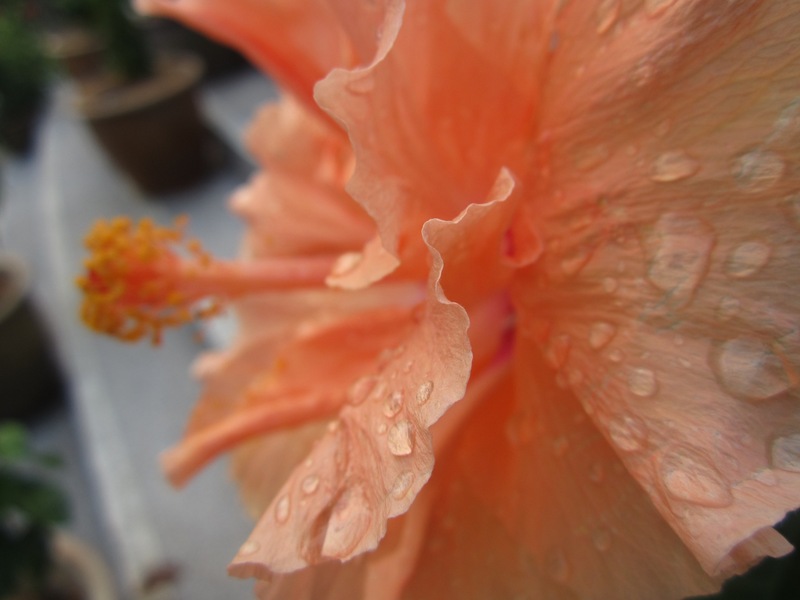 – connected to the Orchid Garden is the Hibiscus Garden. 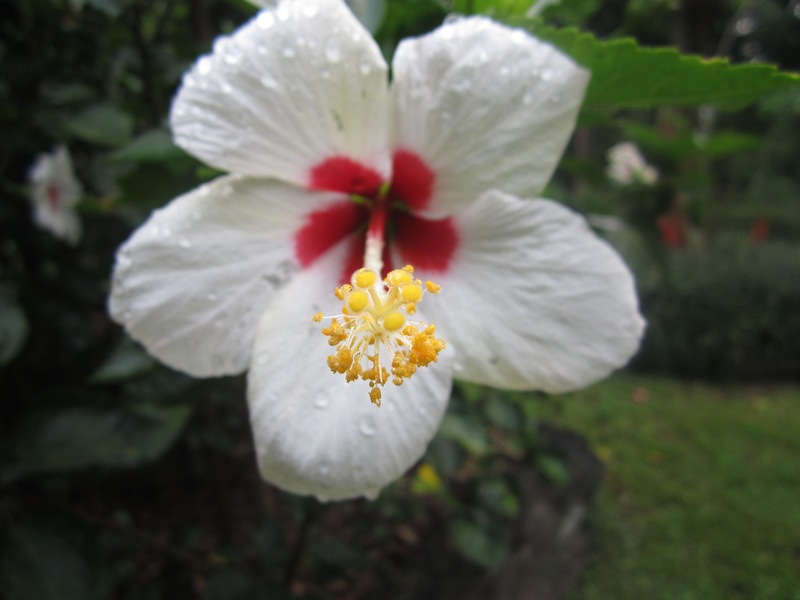 The Hibiscus was chosen as the national flower of Malaysia. 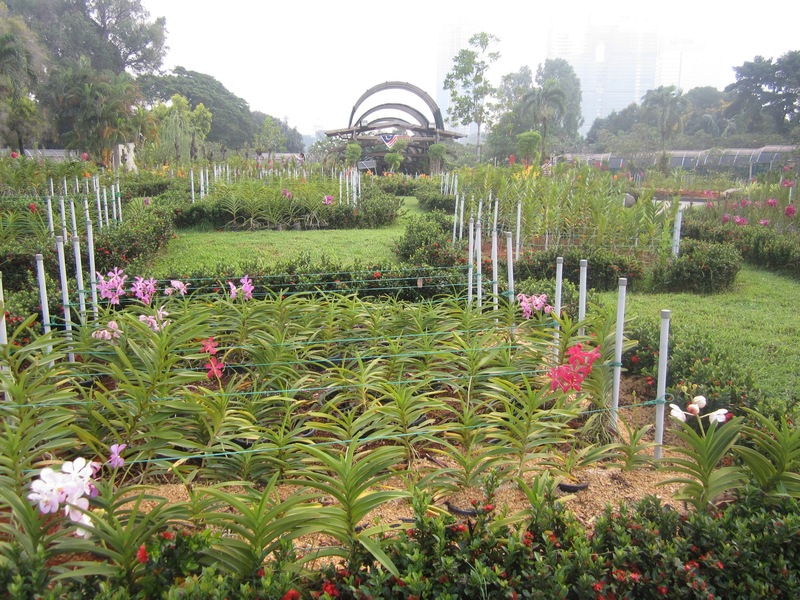 It is native to tropical areas like Malaysia and this garden is well worth seeing. 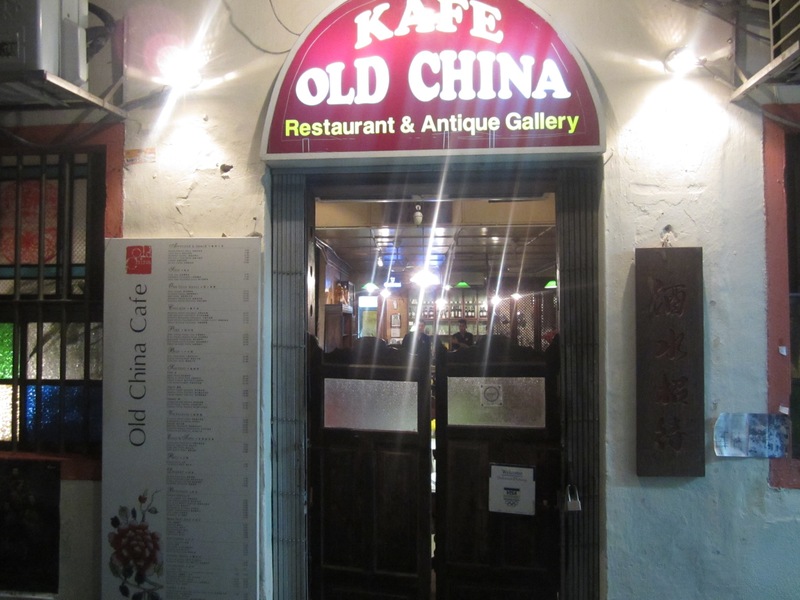 Our hostel was just around the corner from Chinatown and it is definitely worth a visit. A lot of it is knock off purses, Ray Ban sunglasses, bootleg DVDs, etc, but it is a fun area to walk around, buy some souvenirs, and have some very nice food. 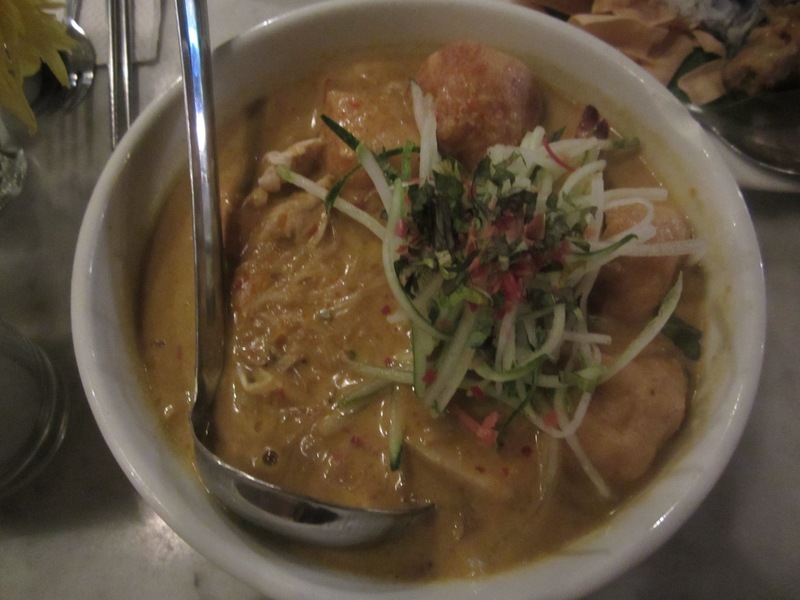 We found one place in Chinatown where we actually ate twice because it was so good. It looked almost like a cafeteria with several food stalls inside. 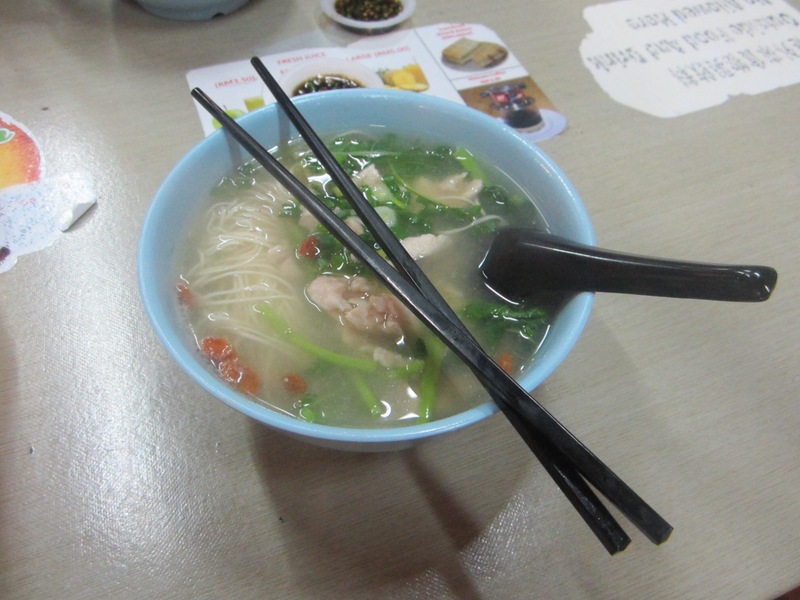 We chose to order the herbal chicken noodle soup (especially good because our stomachs were a little off from nearly a month in Nepal, this soup was gentle on our stomachs and delicious). 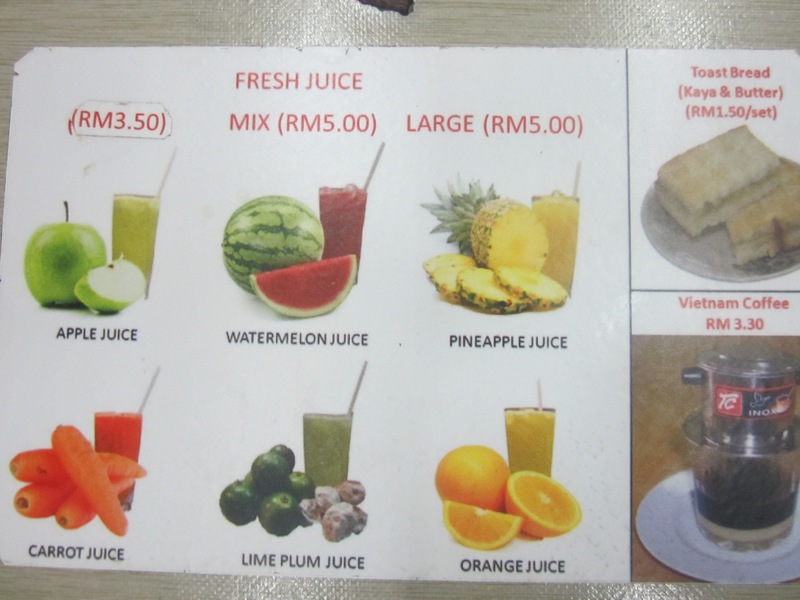 We also ordered a fresh lime and plum juice. So amazing! I recommend. 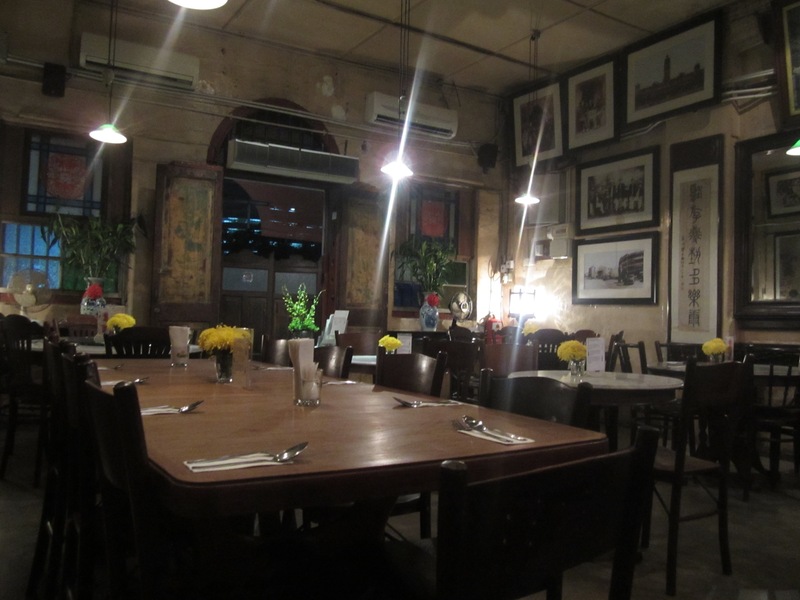 I read about this restaurant on another blog and in a few guide books. It sounded very authentic so we decided to give it a try. 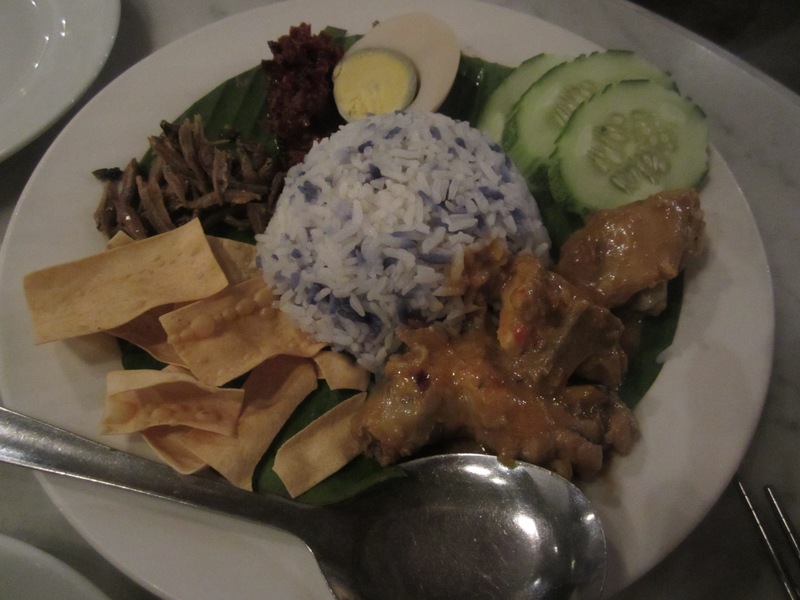 It was GREAT and I recommend it to anyone who visits KL. The food was excellent. 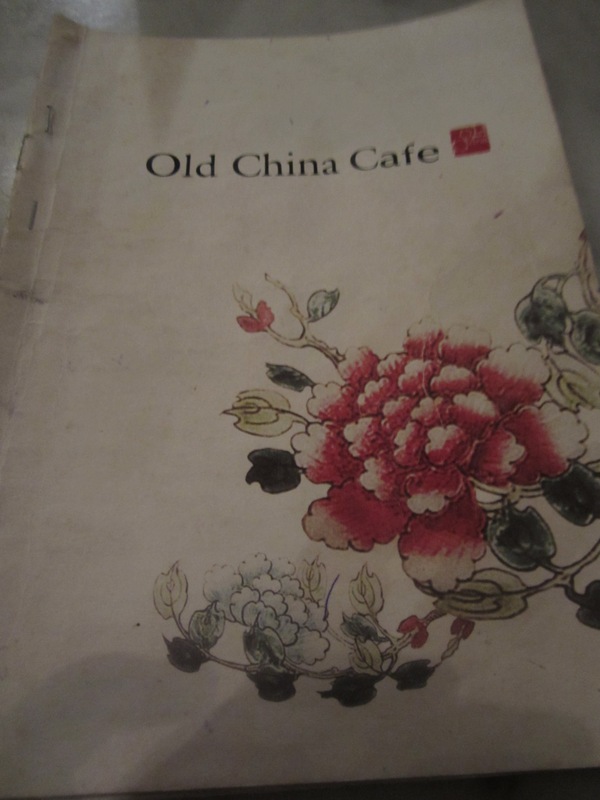 Though it is only a 5 minute walk from Chinatown, you would NEVER find this restaurant unless you knew it was there. The street it is on does not have much else and looks a bit sketchy (though I do not think it actually is). 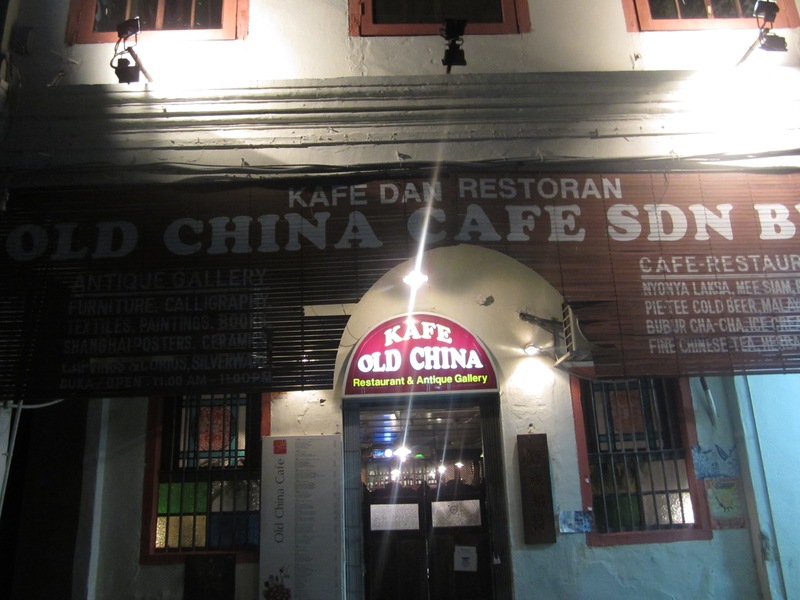 So have directions or ask your hostel to mark this restaurant on your map before you head over. 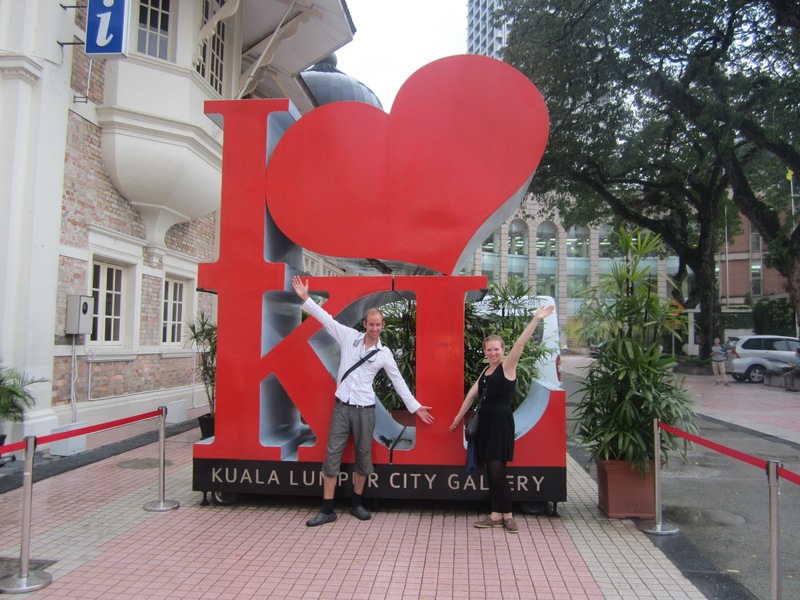 Enjoy your trip to Kuala Lumpur!